Before we get into the heavy science behind zeolite, let’s take a minute to appreciate it for what they are. Rocks. Rocks that can clean, deodorize and absorb unwanted moisture. While most rocks are strictly for outdoor enjoyment, zeolite rocks should be welcomed into your home with open arms. There are so many commercial deodorizers on the market that actually just mask odors and cover up nasty smells with something stronger. This all natural, totally safe method for cleaning the air deals with the smell and absorbs it. Plus, they’re reusable, so once you buy them, you’re set forever. How Do Zeolite Rocks Work? All that is fine and dandy, but what causes these strange rocks to work their magic? As it turns out, it’s not magic at all, but science. They are microporous, aluminosilicate minerals that are already in many of our household products including cat litter and laundry detergent. Zeolites are solids with a three-dimensional crystal structure that is built from the elements oxygen, silicon, aluminum, and alkali metals. These naturally occurring rocks form where volcanic rocks and ash react with alkaline groundwater. 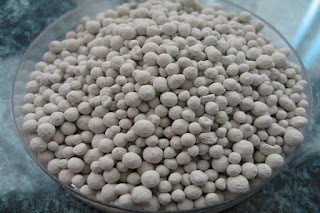 They are referred to as “molecular sieves” functioning as a sort of colander for minerals. Zeolite has holes that allow the smaller minerals to pass through while absorbing the larger molecules. Zeolite is produced synthetically for industrial uses such as water purification and helping in the management of nuclear, radioactive waste with specific standards for the size of holes. In nature, the size of the holes vary and differ between each rock. They were first called zeolites by a Swedish mineralogist in 1756. Axel Fredrik Cronstedt discovered that rapidly heating a material called stilbite would produce steam; this, of course, was due to the absorbent properties of what would from then on, be called zeolite which means “boiling stone.” As the temperature changed, the water that the rock had taken in was released back into the atmosphere. 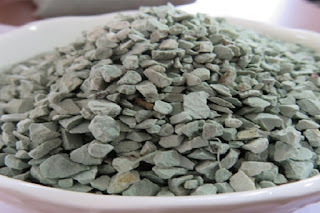 Now that we’ve established that zeolites are not, in fact, some strange form of “rock magic” or witchcraft, it’s time to find out what could motivate you to purchase a bunch of gray stones and put them in your house. When your friends come over, they may be wondering if you’ve suddenly developed an intense passion for geology or just if you’ve gone a little bit crazy. They’ll never guess that you’re using rocks to dispel a stubborn stink from your home. We love our animals; we don’t love the unpleasant smell that they often bring into our house. 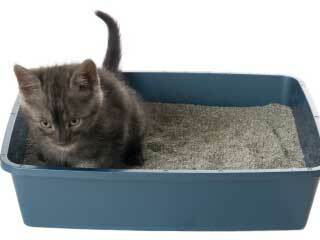 The cat litter box is one of those areas where it’s impossible to find something that masks the overpowering odor of cat urine. While you may be resigned to using copious amounts of air freshener and fragrance candles, zeolite rocks are a better alternative. Whether you struggle with constant odor by the cat box or your dog hasn’t quite caught on to the whole potty training thing, placing an open dish of zeolite close to the source can help absorb and dispel that nasty funk. If you don’t have a garbage disposal and have to put all your food in the trash can, it can get ripe pretty quickly. Place a few zeolite in the bottom of the can before you put in the bag. This will help trap odors and moisture buildup that create the stinky stale smell filling your kitchen. The stench of cigarettes can be one of the hardest smells to remove from upholstery and carpet. If you’ve just purchased a house or are renting, a previous resident may have left a less than pleasant tobacco odor behind. While you should always vigorously clean all surfaces when you move into a previously owned home, some of the stenches will stubbornly cling to walls and carpets. Simply place a bowl or mesh bag of zeolite in the room that is most strongly affected and voila! The odor will vanish. Ah, the wonderful waft of old Christmas decorations, mold, and forgotten boxes of moth-eaten clothes from your college years. The smell of forgotten dreams and craft projects long discarded, otherwise known as the stench that your attic, basement or garage adopts after going unventilated for some time. This persistent musty smell is hard to shake entirely, but zeolite rocks can cut back on some of the odor. They can even help dispel a lot of the extra moisture in the air if you struggle with dampness and mold. They also work for closet odors and weird smelling cupboards. Everyone’s shoes stink to some degree, but there comes a time when the aroma is just a little too foul to be socially acceptable. 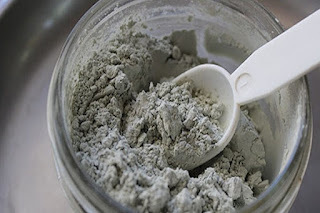 Strategically place zeolite around your shoe basket or in your mud room. Another method is to put a few rocks in a small mesh bag and store inside of your shoes when you’re not wearing them, this will severely cut back on foot smell and reduce captured moisture. If you notice your fruit in the bowl on your counter is constantly going bad and moldy quicker than you can eat it, mix a handful of zeolite in with your apples and oranges. These rocks can help to absorb some of the gasses that hasten ripening and fruit decay and make your fruit bowl look and taste better for longer. While zeolite is entirely natural, it is a good idea to wash your fruit before eating to ensure there is no lingering dust or residue. Okay, so they’re not batteries, but they are completely reusable pretty much forever if you take proper care of them. The amount of time you can go between charges depends on the severity of the smell that zeolite is absorbing. If it just a general odor that’s not very potent or stubborn, you can use your zeolite without recharging for up to 3 months. If the situation is severe, or you notice your rocks losing some of their power, recharge as often as needed. To recharge zeolite, simply set it on a tray outside for a few days in the fresh air and sunshine and allow it to release all the nasty gasses and odors that it took in. Keep in direct sunlight as long as possible. Zeolite rocks are available relatively inexpensively from Amazon. 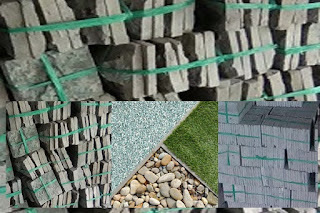 There are a number of suppliers of high quality rocks but the best reviewed and at the fairest price are Zeo-Rocks Natural Zeolite Rock here.